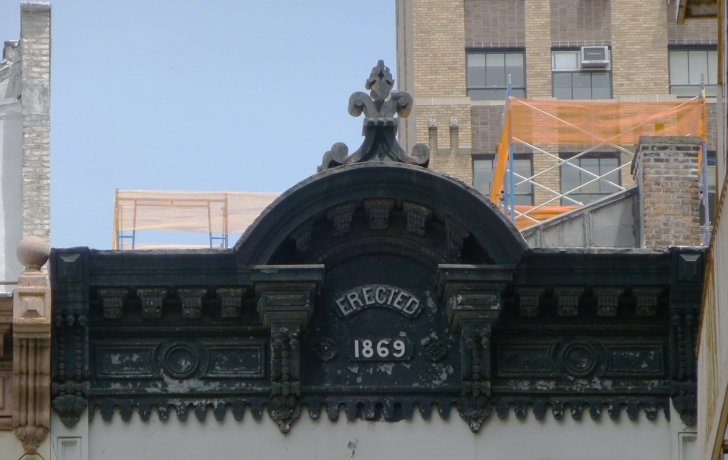 Plans are afoot to put a penthouse atop 60-66 White Street, a trio of cast-iron buildings that have barely been altered since they were built in 1869. The project, part of a conversion and restoration of the structures that now house commercial tenants, would convert two of the buildings into residential condominiums; the third would remain an office building. The one-story penthouse, set back, would not be seen from the street. But the same cannot be said for what was proposed to sprout from the top. Three elevator bulkheads, housing the mechanicals for elevators going to the second floor of the duplex penthouse, would rise 10 feet above the roof. Two cooling towers, each 18 feet tall, would also be added. Last month the project came before the Landmarks Preservation Commission, which told architect Garrett Gourlay to bring it down. “The roofscape is abysmal and every effort should be made to reduce it,” said Commissioner Michael Goldblum, who expressed bewilderment about the height of the protrusions. “I’ll double check it,” Gourlay replied. Well, not quite, according to committee chair Roger Byrom. Upon questioning, Gourley said the bulkhead could be 10 feet lower if the elevator stopped on the fifth floor rather than go to the penthouse a floor above.